Back by popular demand, the “Walking Wednesday” campaign is here for summer 2018. 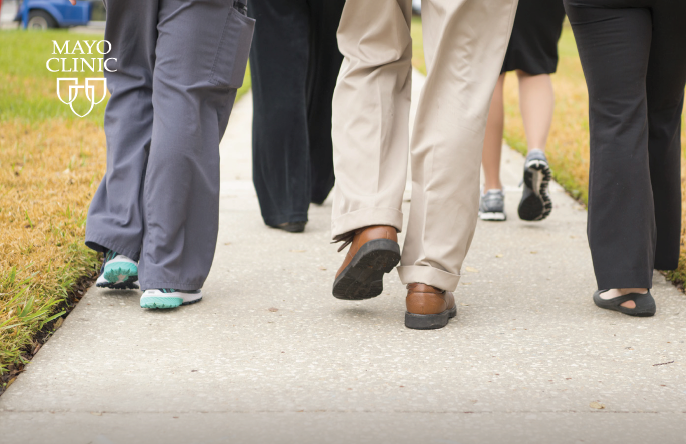 This program encourages Mayo employees to be active and walk over the lunch hour on Wednesdays from June 6 - August 8, 2018. No registration is required. From June 6 - August 8, go for a walk every Wednesday. For accountability, visit the Wellness Stop between 11:30a.m. - 1:15p.m (Lot 32 on 2nd street across from the Ronald McDonald House). Stay in the loop with weekly Wellness Tips, walking reminders, and other program updates by signing up online here.